The most fun in life is to create, but creating together is more fun. This exciting, fun-filled workshop is designed to assist you to make better use of your resources of creativity, playfulness and ingenuity. 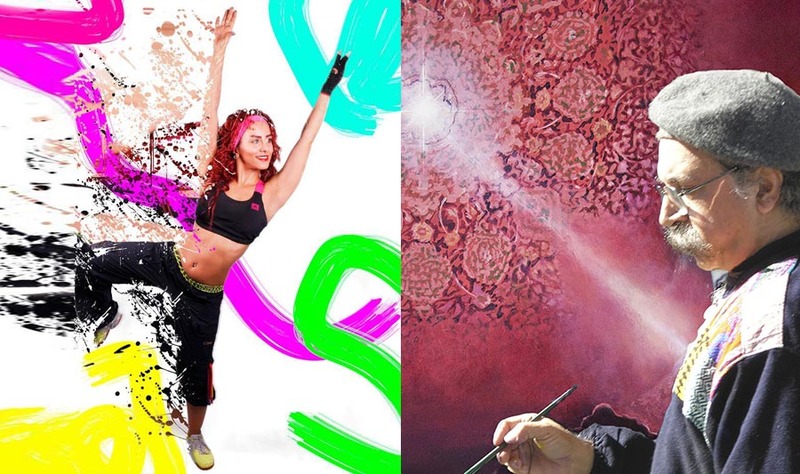 Under the guidance of Master Rassouli and through creating with Fusionartists, you will be led to embark on a creative journey to realize your unlimited potential as creative person and to increase the joy and confidence in your own authentic expression. "Creation is the product of synchronizing our energy with the universe. Once we experience the whole and recognize it, we become aware that we are nothing but the Divine Creative Power"
Sunday June 24, 2018 from 10 am through 5 pm. This is a one-of-a-kind transformational retreat for those who are interested in expanding their creativity in painting and other mediums to make a change in their life. It is geared towards developing mastery in painting for emerging and professional artists. During this special retreat participants will benefit from Rassouli’s artistic expertise and mystical experiences in a unique form of guidance. 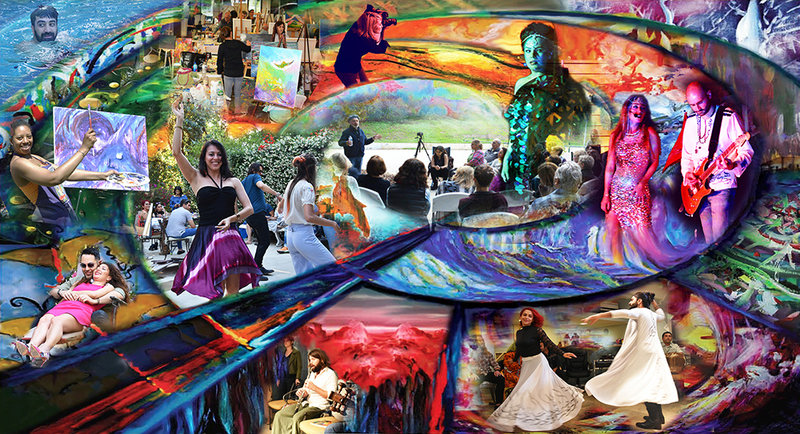 The Weekend Retreat is held in an atmosphere filled with creative energy and camaraderie. Under his direction, every one learns how to translate their spiritual experiences from their subconscious onto the canvas. There is also an opportunity for those who wish to talk privately with Rassouli in his studio prior to the retreat or the day after it and receive constructive advice from the master about subjects such as how to publish your artworks, how to exhibit at galleries and special ways of making a living doing what you love to do. You will be able to discuss your specific challenges with the master and receive valuable guidance from him. Private lessen fee is $100 per 30 minutes discussion. Since the space is limited, please send us an email to info@AvatarFineArts.com to schedule your private session. © 2018 This page and all contents copyright Avatar Fine Arts. All rights reserved.